Sunlight removals services is a London based home and office removal firm. Our motto is to provide you with an experience of moving smooth, trouble free and colossal. We are a highly professional and specialized firm with years of experience in providing a reliable, friendly and agile removal services in London and adjacent areas. 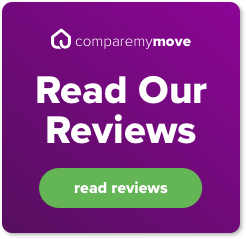 From large organizations to simple house removals we are famous as a large team of professionals who guarantee a safe and efficient with a wide area coverage in London. We are a qualified and experienced company which provides moving solutions to its customers at any stage of their house or office removal. Our team consists of qualified specialists, their personal abilities are limitless. Our hierarchy consists of the executive management and the men their qualities may differ but their motivation to cater the needs of customers is unmatchable. Our professional expertise, experience, and specialized training they are applied to every move that is happened via Sunlight Removals. That itself guarantees our customers that any object that is involved in the move, will be safely delivered to the destination. Our team is the foundation of our fame and repute. We are a dynamic team but when we are together at work we have the same motto and slogan; “Our work is what makes our lives beautiful” We get personally involved with the work we do, taking care of every detail and object, using the best quality materials for the protection and safe delivery of the products to their final destination. No job is little in our point of view and every object that is included in the move, we find it our responsibility to move it in a safe and secure way. Be it objects that are considered most delicate like Lamps, glassware, kitchen crockery, art works to the heavy furniture, books, clothes, our man and van dedicated teams work their best to provide you with the best materials and services to ensure the safety of your items till the end of the move. The Strong double-walled box is ideal for shoes, CD, kitchen sundries, general house hold items. Suitable for larger items like toys, pillows, cushions, soft furnishings and general house hold items. A high-quality double-walled box designed especially for hanging garments. Professional and great work, Even though we lived on the top floor without a lift, the team had absolutely no concerns, they were diligent, organized and very efficient, nothing broken and dirty, we really liked the service, recommend to everyone. Excellent Service! If you want a service that truly does what they say they will do and much more , this is the service for you! They were punctual, professional, proficient and polite! When we read in their advertisement, “ We are a local family run Man And Van, Removals, Storage and House Clearance company based in London. Since we first opened it has been our goal to be the leading moving company in the area. Friendly helpful and good service. Thank you for a job well done.